Here is an image to show your girlfriend/love/wife how much you missed her all these days. An image could convey things better than words sometimes. Make this appealing image reach your girl. 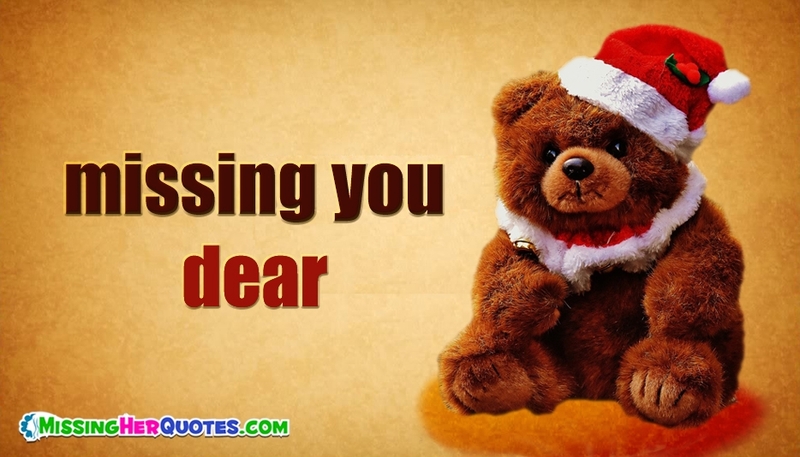 The image holds a sad teddy bear with the quote "Missing You Dear". You can free download and share this through any social media.